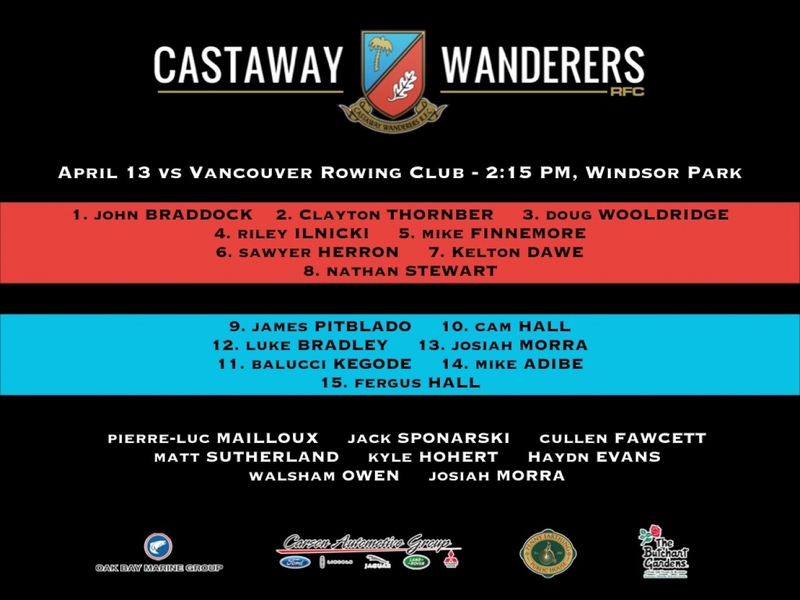 A strong men's combination has been selected to face Rowers in the final league game of the season. Rowers went down to JBA last weekend with a score line of 12 – 48 and have to return to the Island again to face a team preparing their game for playoff action. The Rowers have been doing it tough with their return to the ‘bigs’ this year and unfortunately have not been able to muster a Reserve team to give the Divvies a trot. Nate Stewart will lead a familiar pack, perhaps with three changes with the starters, all deservedly earned. The wily veteran, Woolridge starts in the FRF, Riley Ilnicki gets the nod at lock and Sawyer Heron will be on the flank. No decision out of the ordinary and all three have earned starting roles in these spots this season. The backline is the same as last outing and all will be hungry to back themselves for a spot against the Vikes. The bench, sees a solid FRF which could possibly see considerable time – Mailloux, Sponarski and Fawcett, Hohert, Sutherland and Evans round out the forwards subs, almost a full pack! JoMo/aka Morra and Mike Dalsin will see time in the backs. The only obvious absentees from the group are Schelly and Chiz. We don’t know anything about VRC, tied for eighth place with a 5 – 9 – 1 record. They have suffered some big losses in recent weeks and their best successes seem to have taken place at their lovely Stanley Park home pitch and mostly, earlier in the season. It is a club with a proud history and we know they will not be chucking in the towel. A reminder to patrons that this match is slated to kickoff at 2:15 p.m.
A rather unusual time for a kickoff will be 4:00 p.m. tomorrow when the CW Premier Women take on the visiting Seattle RFC. This promises to be a barn-burner with both teams struggling for positions in the playoffs, hoping to avoid Westshore in the first round. CW warmed up for this one last week with a resounding win on the road against Capilanos and will be starting the same combination. Look for fireworks from winger (#14), Malone, who scored a hat-trick last week. It is a formidable pack that is seeking to get their work right at this crucial stage of the season and no doubt, happy about being able to start the same combination two weeks in a row! The backs look to be pacy and a solid combination. Any time one sees the likes of Louise Eriksson, Lizzie Adams, Brooke Bazian and Emily Belchos on the pines, it can be assumed that the starting XV is loaded. I would suggest, this one might be worth staying around for and good luck, ladies. P.S. Men's Islanders Vs Westshore 12:30 p.m.
Today we bring readers a fascinating commentary on the current State of the Nation with the Men’s program. Nigel Reed is a writer for CBC Sports. “It is official. Canada is running on empty. There are only fumes left in the tank but the journey is not over. It was inevitable. When it finally happened it looked and felt ugly. On the biggest Sevens stage of the season, Canada capitulated. The coach knew it was coming. Damian McGrath was forced to concede, "Our lack of preseason caught up with us, but there are no excuses." He's right. There are no excuses but there are reasons. What happened in Hong Kong was an embarrassment to Canadian rugby and an absence of proper preparation will always come back to bite you. In sport, as in life, you get what you pay for. If you want the best, it is expensive but the investment is worthwhile when the hard work pays off, translating into success on the field. Investment is a two-way street. Elite athletes must immerse themselves, body and soul. There are no half measures. Talent only gets you so far; sheer grind, mental and physical preparation and personal sacrifice make the difference. Investment must also come from the top. Governing bodies are there to promote their sport and support their athletes. Unfortunately, the well documented civil war between Rugby Canada and its men's sevens team has come home to roost. Two weeks preparation for a gruelling seven month, 10-stop tour was never going to cut it. The consequences are plain for all to see. It is a long way back from last place. There are still three events remaining. This weekend the circuit moves on to Singapore, the site of Canada's most famous Sevens moment. In the spring of 2017, the Canadians finally planted their flag on top of the world, winning the Singapore Sevens. The triumph was no fluke. Canada overcame Sevens heavyweights New Zealand and England en route to the final. It then had to hold its nerve to outlast the Americans in a thrilling championship game. Barely a month later, the Canadians were back on the podium. In the season finale they beat the U.S. again to claim a bronze medal in London. The future of Canadian Sevens rugby seemed assured and the prospects were bright. Canada has never again made the podium. Ironically, the Americans have made giant strides forward to lead the World Series standings and are in position to lock up an Olympic berth with the right combination of results in Singapore. The Americans recently launched a full-time residency program for its players at the U.S. Olympic training site in California. There are also places for its leading academy players, yet to make their national team debuts. McGrath noted the announcement with a heavy dose of English sarcasm. "We can only dream" he tweeted at the time. While Canadians were bickering about the very relevance of Sevens rugby itself, the Americans were planning for Tokyo 2020. So to Singapore – where Olympic dreams may become reality. In addition to the U.S., Fiji and New Zealand could also punch their tickets to Japan. Only the top four in the World Series standings get there as of right, and Canada potentially faces two of them in the pool stages. The Canadians kick off against Fiji – fresh off their win in Hong Kong and the defending champions in Singapore. Then it's another tough examination against South Africa. The Blitzboks are desperate to hang onto their top-four place and cannot afford any mistakes in the preliminaries. BCRU announced yesterday its coaches for the upcoming Age-Grade Rep Season. CW’s, Lauren Sargent will join Shane Muldrew (Head Coach Boys U15). Kudos, both.